“God’s purpose in creating us was just to love us and lavish joy on us. As is the case with any loving relationship, the person on whom we focus our love and joy is not an object to subject to any specific purpose—other than the purpose of just knowing that we love them and are delighted in them. 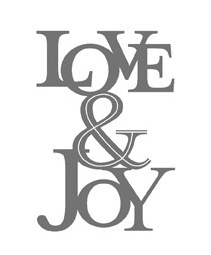 In other words, God created us in love and joy and God continues to woo us in love and joy. That is all we really need to know if we want to live in playful freedom. Friends: PlayFull's desire for you in 2018 is that you would live in God's love and joy. Believe the Good News! Be on the lookout for PlayFull's new book, 200 Ways to Play. It will be available in Kindle format and paperback soon. It's chock-full of ideas and exercises designed to help you live in love and joy. This is surely an important time of year. It is a season of renewal. Now that I am older, I am beginning to cherish the celebration of a New Year more and more. Hearing so many people wishing others a Happy New Year gives me hope because it’s really a simple way of blessing others. 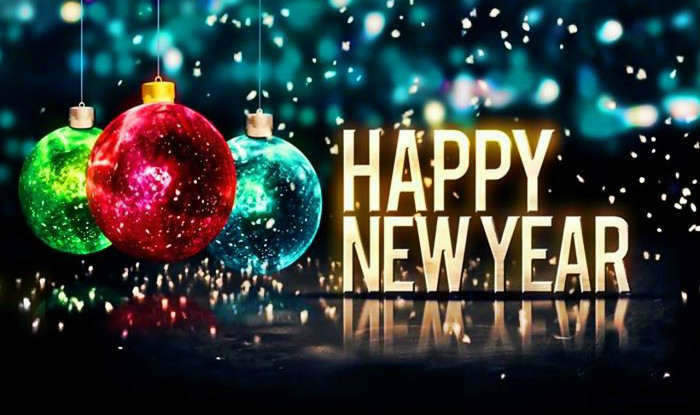 No matter who I meet, no matter who I see this time of year, I can look them in the eye and say Happy New Year with a full and sincere heart. This simple three-word wish gives me hope because I see it as a small way in which we can set aside our petty differences to acknowledge the common humanity we share, the sacredness of every soul we meet. It is actually an opportunity to acknowledge that we are all works-in-progress, that we all share hardship and joy, that we all need grace, that everyone desires to have a happy life—and that our own happiness is connected to the happiness of others. Our declaration of Happy New Year indicates to me that we instinctively know something essential about happiness: namely, it cannot be hoarded. The more it is shared, the stronger it grows in one’s own life. The happiness of my neighbor in no way diminishes my own happiness. On the contrary, as I wish my neighbor true happiness, I experience the happiness that comes with such a wish. 2. Correcting things that go wrong. The authors assert that, if we want an environment that is healthy and life-giving, we will spend most of our time and energy on the former—and, therefore, very little time and energy on the latter. It sounds so simple, doesn’t it? The more time we spend helping things go right, the less time we have to spend correcting things that go wrong. But that is easier said than done. If we are to spend most of our time helping things go right, we need to be intentional and deliberate about it. Good habits tend to be cultivated like flowers. Bad habits tend to grow easily like weeds. Being human is hard work sometimes (maybe: most of the time). Despite that, I’m convinced the work of being a healthy human doesn’t have to be burdensome. I’m convinced the kind of work it takes to be healthy is actually delightful, even playful. Those who learn to enjoy their work are as healthy soil: seeds sown in such enriched earth produce a stronger, more abundant crop. When the disposition of the heart is positively inclined, there is little room for the negative. If we would ever be able to spend all our time practicing what is good, we would have no time to practice what is harmful to us and others. Of course, that is the ideal—but it doesn’t play out in reality. That’s why any attempt to practice what is good needs to include grace—grace for yourself and grace for others. Grace is important because it reminds me that the way to a better life, the way to work for a better world, is not simply a matter of “mind over matter.” Though I advocate the power of a positive mindset, I do not wish to give you the impression that that is all one needs to have a happy life. After all, I can still hurt someone while thinking positively about myself (I know: because I do it sometimes). Positive thinking only gets me so far. Positive practices get me farther—and grace reminds me I’m still a work in progress (as are others). But I am getting ahead of myself now: I’ll write more about Grace in the days to come. In the days to come, I will write a little about each practice. I hope you find my observations helpful and I wish all of you the happiest of days in 2018.